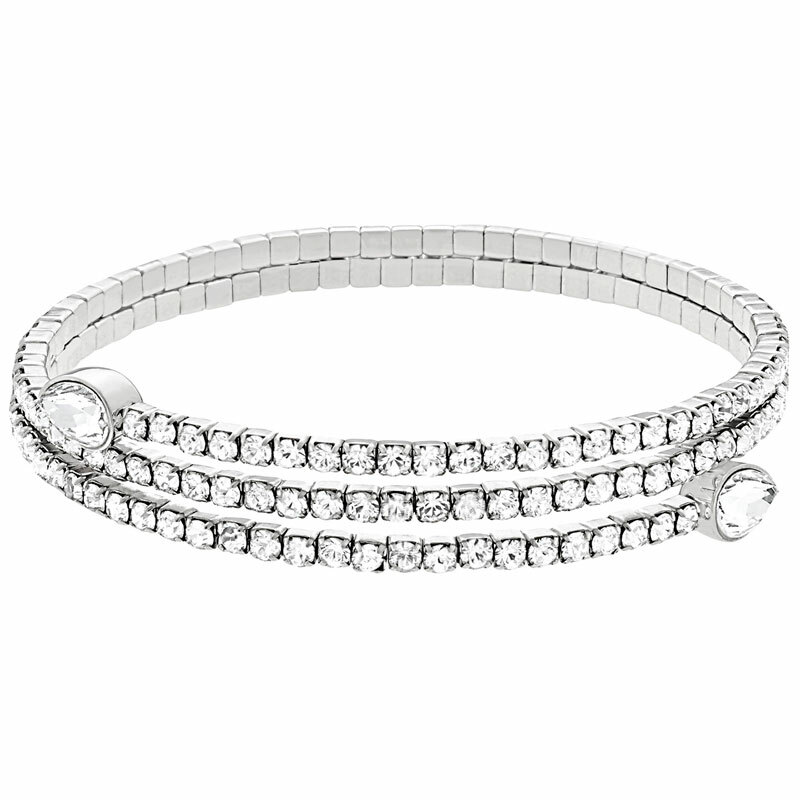 Sleek, chic, and very easy to wear. 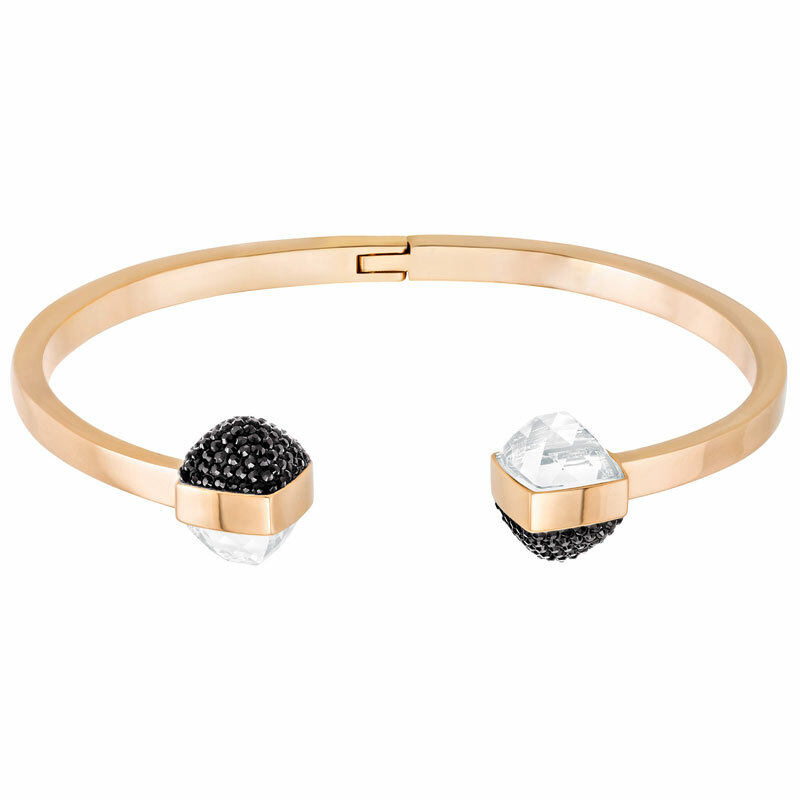 With an organic double V silhouette as the key design element, this bracelet reflects this season’s trend for jewelry with a layered look. 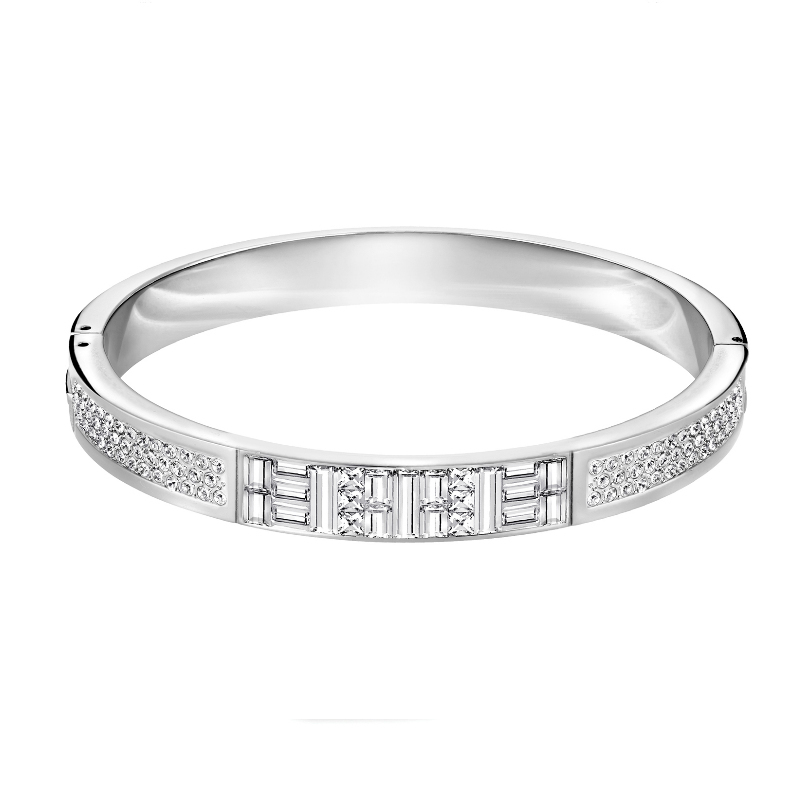 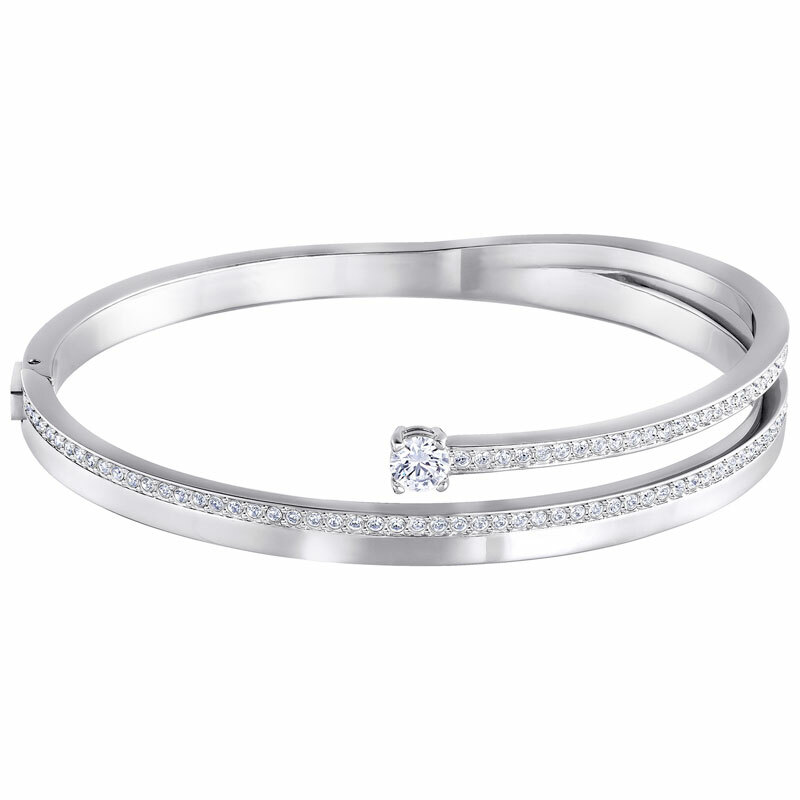 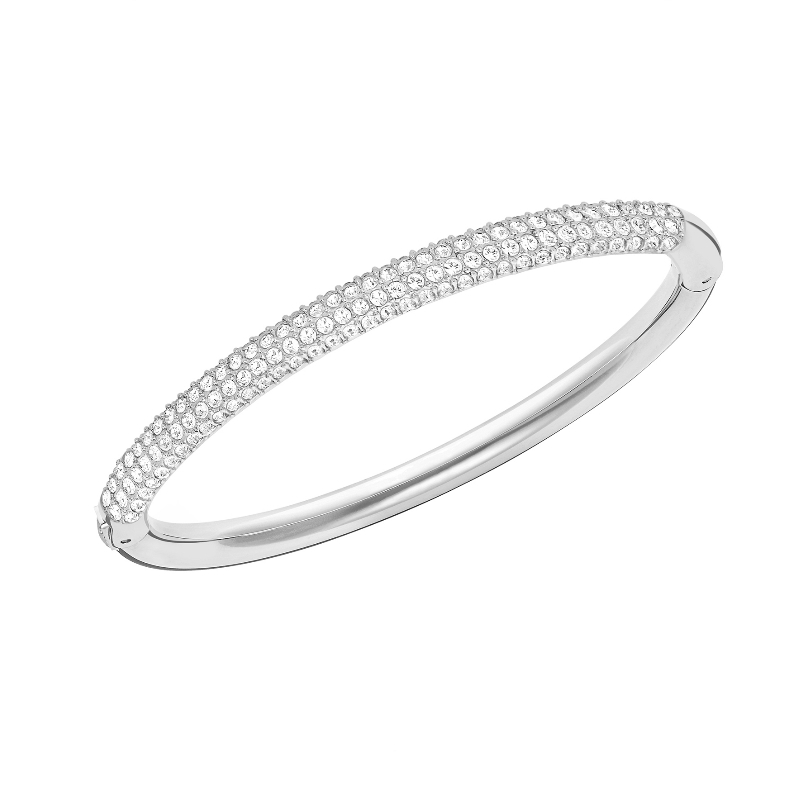 It shines in clear crystal pavé and rhodium-plated metal. 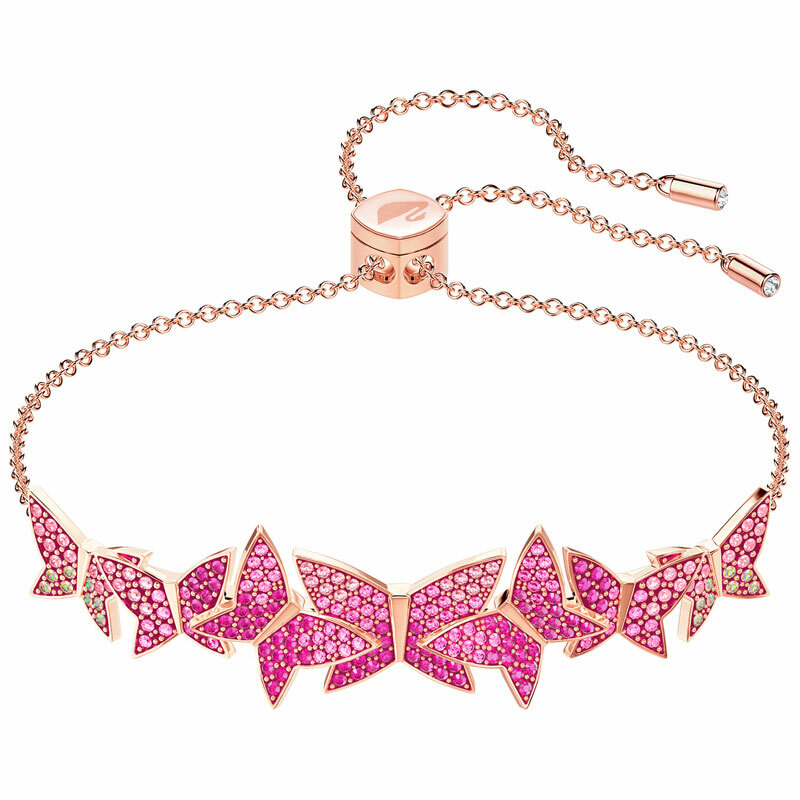 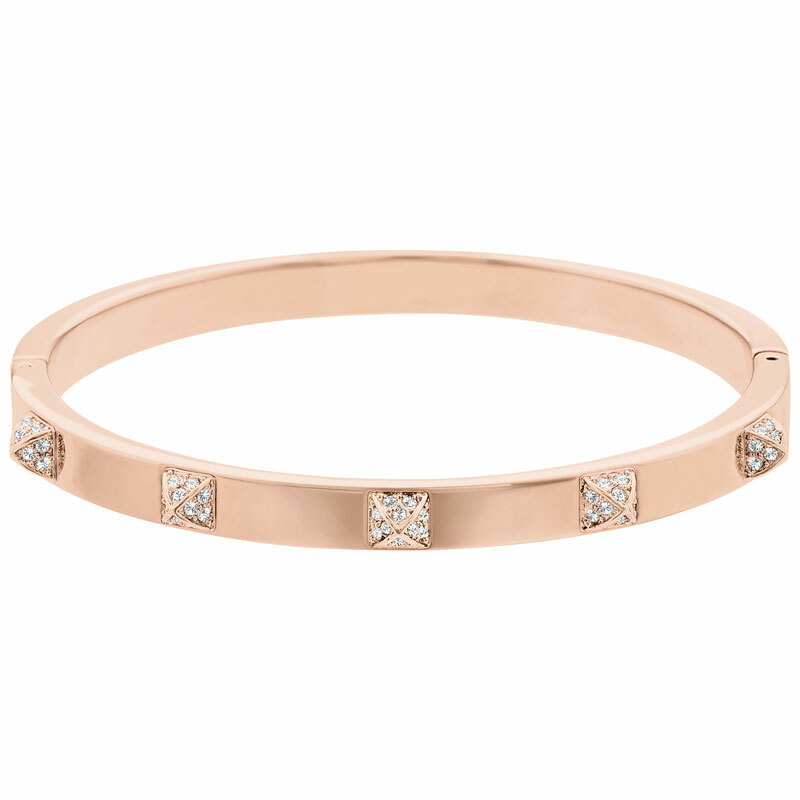 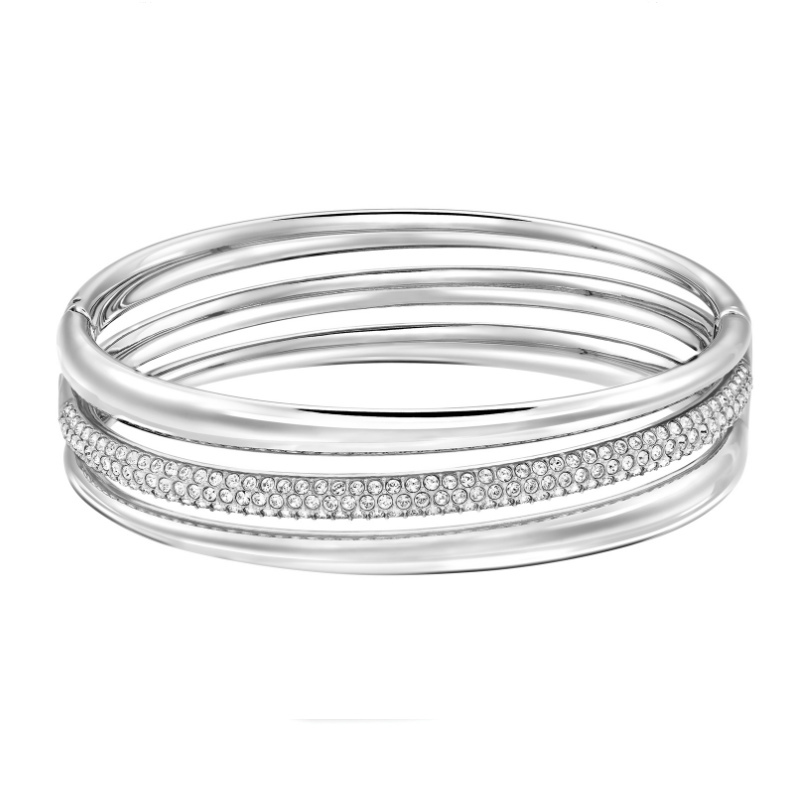 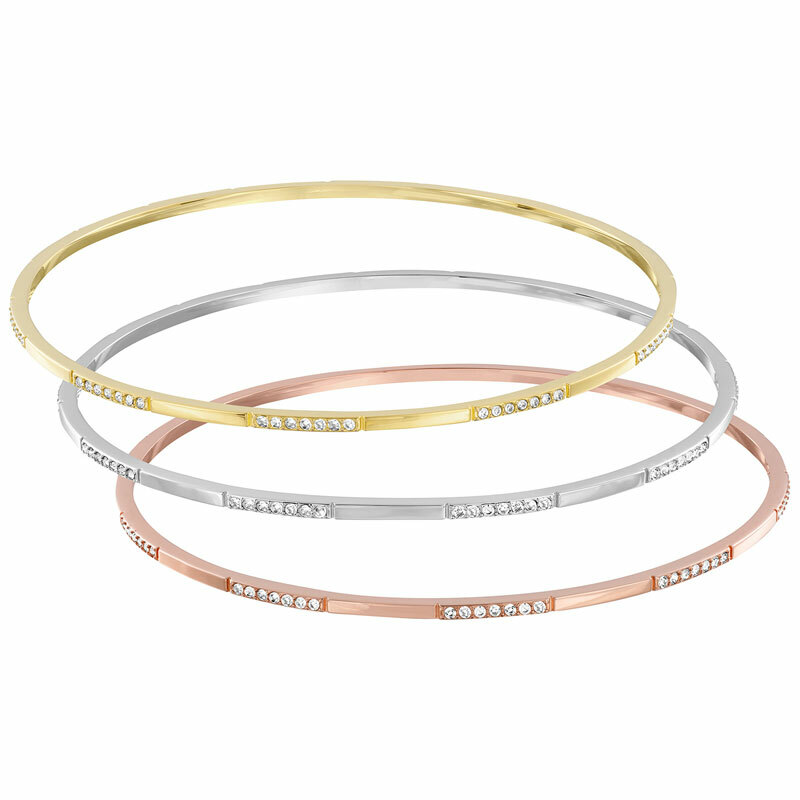 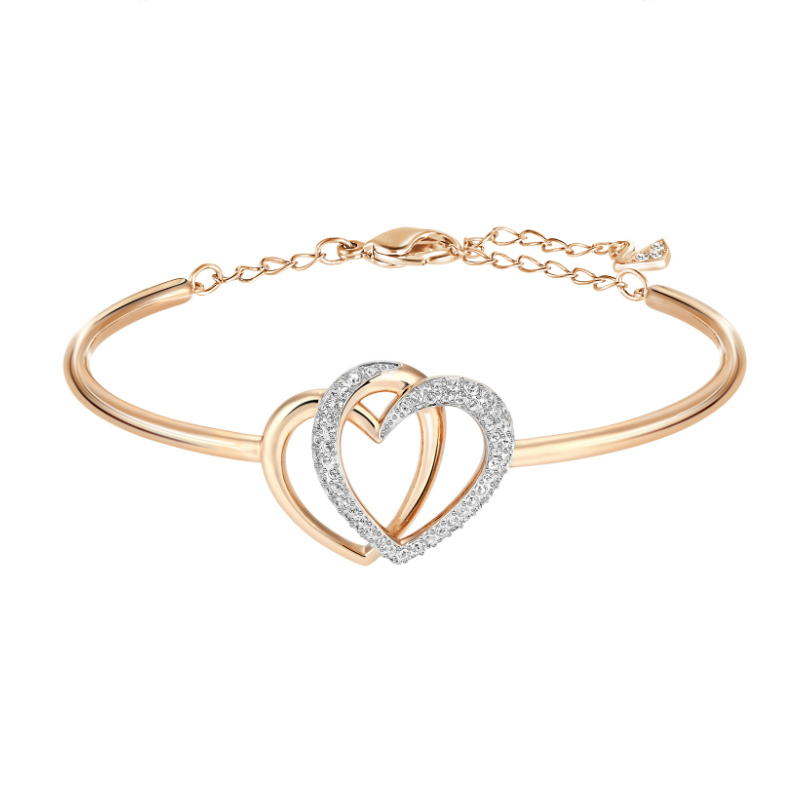 Styling tip: stack with other Swarovski bracelets in different metal platings for an on-trend look. 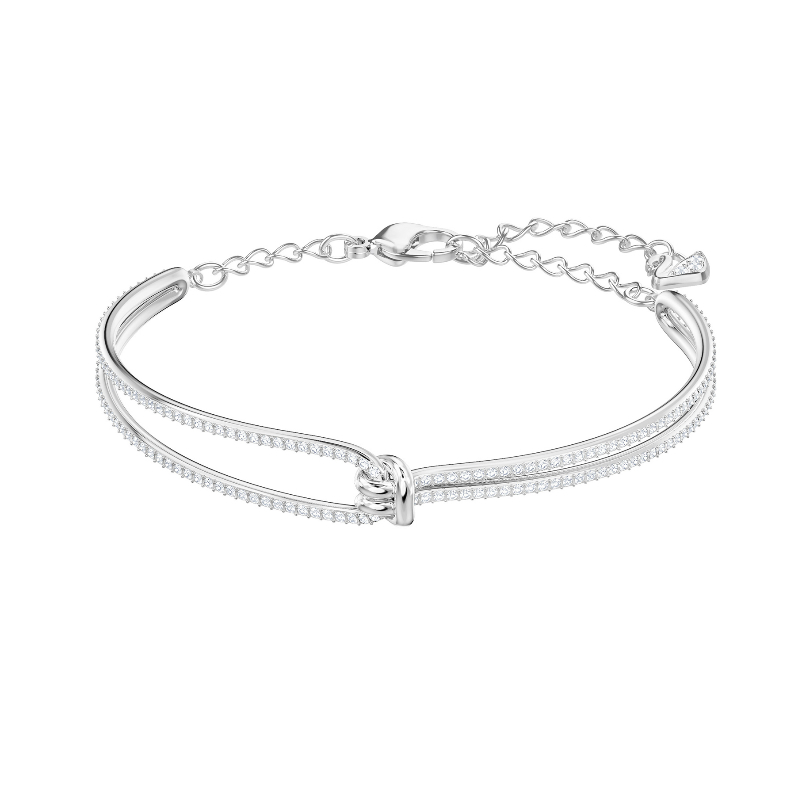 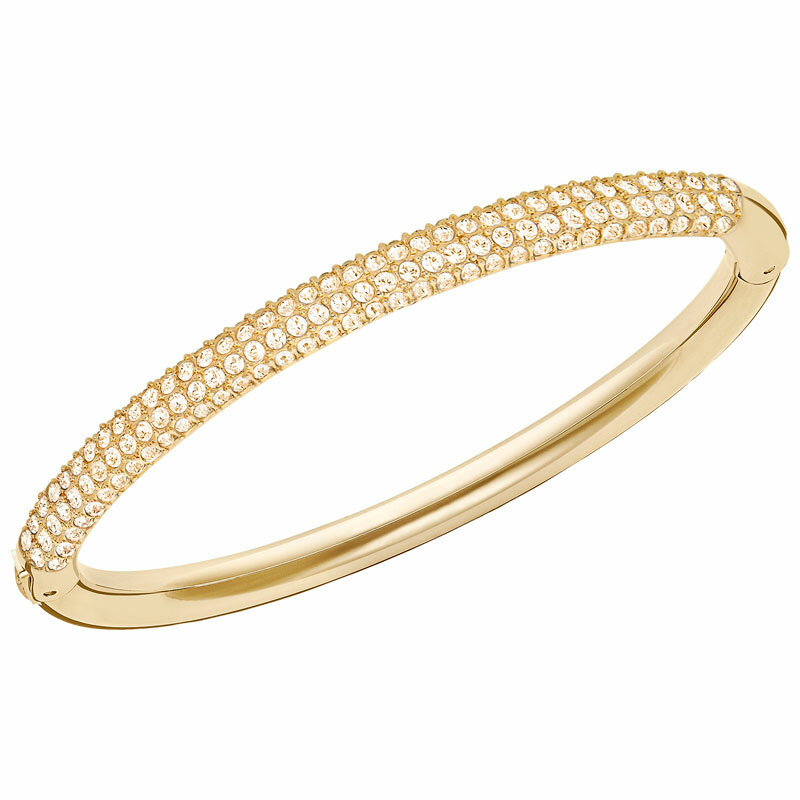 The bracelet measures 5.9 x 4.5 cm and comes with an adjustable chain closure.